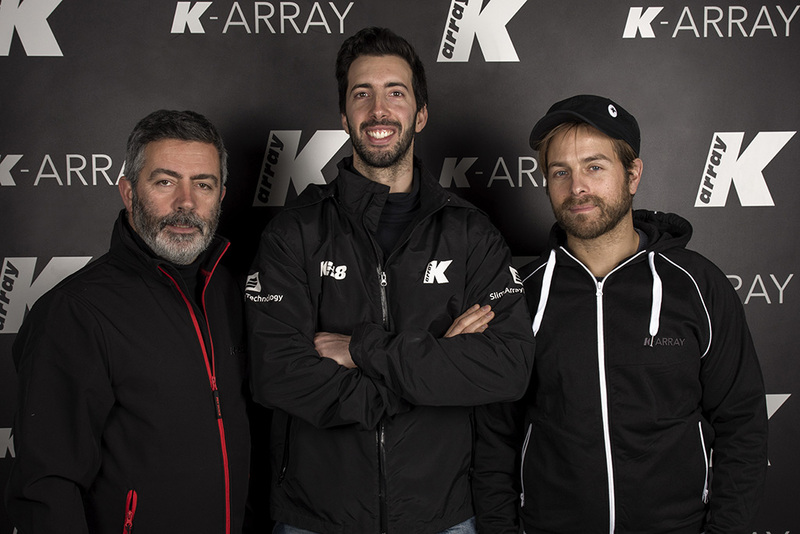 K-array is pleased to announce that effective January 1st 2018, Stefano Zaccaria has transitioned into the position of VP of Sales and Marketing, to work closely with president and co-founder, Alessandro Tatini. Zaccaria arrived at the company in October 2016 as a temporary manager, but since January 2017 he has been a full-time insider, tasked with reaching long-term goals as Strategic Sales and Business Development Manager. He has significant amount of experience, consolidated into a long career path, working with small- to medium-sized companies particularly specializing in luxury design brands and high-end product markets. K-array is equally excitied to announce the promotion of Daniel Strasserra to Sales Engineer in the sales department at the company’s headquarters. Strasserra joined the company 8 years ago and has progressively advanced through positions in both the service and sales departments, where he has played a key role in supporting customers and promoting the brand in new market segments. Strasserra brings a wealth of technical experience to the position derived from his previous experience as After Sales and Product Specialist Instructor. He will now be supporting sales approaching key customers and developing the brand in the nightlife sector. K-array would like to also communicate Daniele Mochi’s new position as Project Manager. During his 4 years at K-array, Mochi has been responsible for the fruition of many challenging projects, assisting clients with the system design for applications such as Teatro di Habana in Cuba, Vodafone Arena in Turkey and White Nightclub in Dubai. He has also been responsible for hosting product workshops, seminars and presentations which, along with his background as a physicist, provides him with the passion and knowledge to now run the newly-launched K-academy, a program of workshops, courses and seminars that covers all aspects of the pro audio industry from fixed installations to live sound applications dedicated to every representative of the industry from sound engineers and technicians to DJs and event organizers.